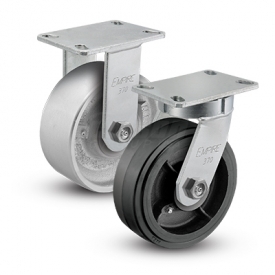 Ideal solutions for customers on the verge of exceeding 2″ wide capacities or for projects where an economical 3″ wide wheel meets the application needs and a premium caster is either overkill or not in budget. 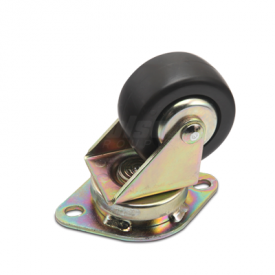 These new series now bridge that gap between premium 2″ wide kingpinless casters (up to 3,000 lbs.) 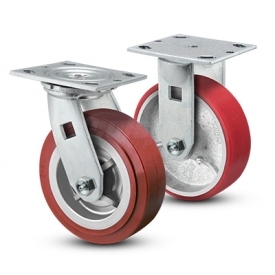 and 3″ wide kingpinless casters (up to 3,500 lbs.) and do so all in two proven economical offerings: 370 Series and 470 Series.